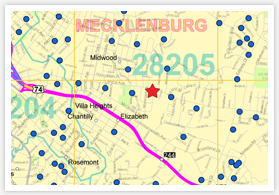 on custom maps of your business area. understanding and customer analytics that drives your business growth. planning your business strategies and marketing campaigns. spend over $450 on this stores products. View your customers around your store location. display the information you need to analyze, segment and target customers. customers’ needs and develop a loyal customer base. 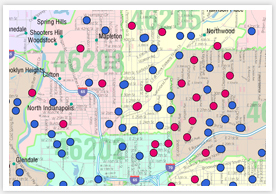 Define sales territory boundaries to cover market areas effectively. and provide insights into customer locations. customer activity has increased or dropped off in certain locations. To get started Mapping Your Customer Locations!